SAN FRANCISCO, CA – September 27, 2007 – Citizen Bean (www.citizenbean.com) an online subscription coffee-roaster-of-the-month club offering the best sustainable and complex roasts from small-batch “specialty” roasters throughout the country, goes live today, in time for holiday gift-giving. Each month, the Citizen Bean subscriber will receive an award coffee from one of the country’s foremost micro-roasters, delivered just days after it has been roasted. Along with a monthly coffee selection, subscribers will be treated to specially sourced surprise gifts and coffee accoutrements, all exquisitely hand-wrapped and packed with care. 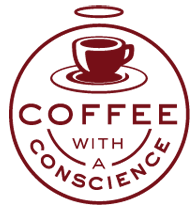 Dubbed “Coffee with a Conscience,” Citizen Bean celebrates the artistry of the independent coffee roaster. As the specialty segment of the coffee industry grows in power and sales figures, it has become apparent that the niche marketing of “specialty” roasts can be a tool to help coffee growers, many of them subsistence farmers, improve their lives and lift themselves out of poverty. Citizen Bean’s commitment to the environment and social responsibility continues beyond our product offerings. Each of our roasters designates a portion of their sales to donate back to a charity of their choice. Additionally, whenever possible, we use post-consumer and recycled materials for our packaging, shipping and collateral.